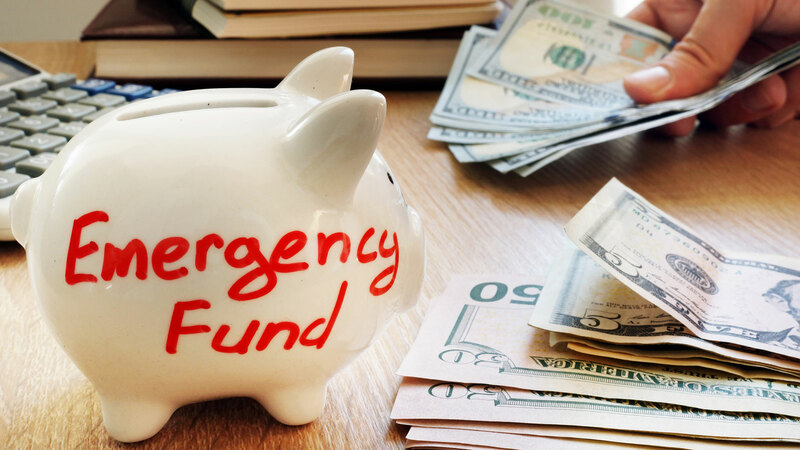 Having money in an emergency savings fund will help you get through a drop in income, pay for emergency repairs, and handle other unexpected expenses. How Much Should I Have In Emergency Savings? A good rule of thumb is to set aside enough money to cover three to six months of living expenses. This can be difficult to achieve, but starting small is better than nothing. Make it a goal to save $1,000 in emergency savings and then slowly add to it what you can. How Do I Calculate How Much I Need for Emergency Savings? Housing costs: Rent or mortgage, property taxes, insurance, as well as utilities. Food: Estimate your food expenses in your emergency savings fund. Insurance: Factor in your monthly cost for insurance, medical and dental. If you’re laid off, you may be eligible to stay on your former employer’s health plan for a period of time through COBRA – the Consolidated Omnibus Budget Reconciliation Act. Automobile: Any car payments you may have, gas, auto insurance, basic maintenance. Debts: You’ll still need to make payment on any debts you owe. Credit cards and other debts you may owe. Personal expenses: Don’t forget about these. Haircuts, clothes, toiletries, etc. Where Should I Store My Emergency Savings Money? An account that you can easily withdraw money from without penalty and earns a small amount of interest is a good place to store emergency savings. Regular savings account or money market accounts are ideal for storing your emergency savings. Regular savings accounts: Allow you to access your money whenever you want. A regular savings account is a good choice for beginners. Money market savings account: Are a good option if you want higher interest rates but may require a higher minimum balance to avoid fees.